See the Pen Full Screen Hamburger Menu 01 by webopixel (@webopixel) on CodePen. 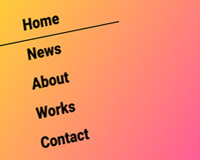 See the Pen Full Screen Hamburger Menu 02 by webopixel (@webopixel) on CodePen. Copyright © WEBOPIXEL All rights reserved.